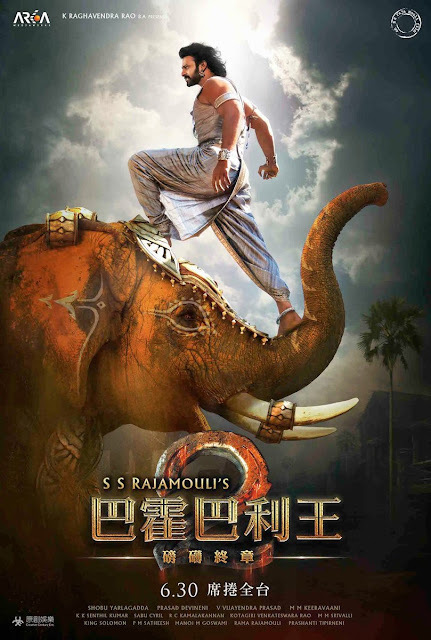 TAIPEI (Taiwan News) -- The epic Bollywood blockbuster "Bahubali 2 - The Conclusion," which has broken numerous box office records for an Indian film, both domestically and worldwide, is set to premier in Taiwan on June 30. The historical fiction film, which is a sequel to "Bahubali: The Beginning," continues the epic tales from the previous film of both a king, Mahendra Baahubali, and his son Amarendra Baahubali, both played by Indian actor Prabhas. Technically not Bollywood films, but rather Tollywood, as they were filmed in the Telugu language, both Bahubali pictures were directed by S. S. Rajamouli, who is mainly known for his works in Telugu cinema. The film has received a 100% Certified Fresh rating on Rotten Tomatoes and 8.8 stars out of 10 on the Internet Movie Database (IMDB) website.